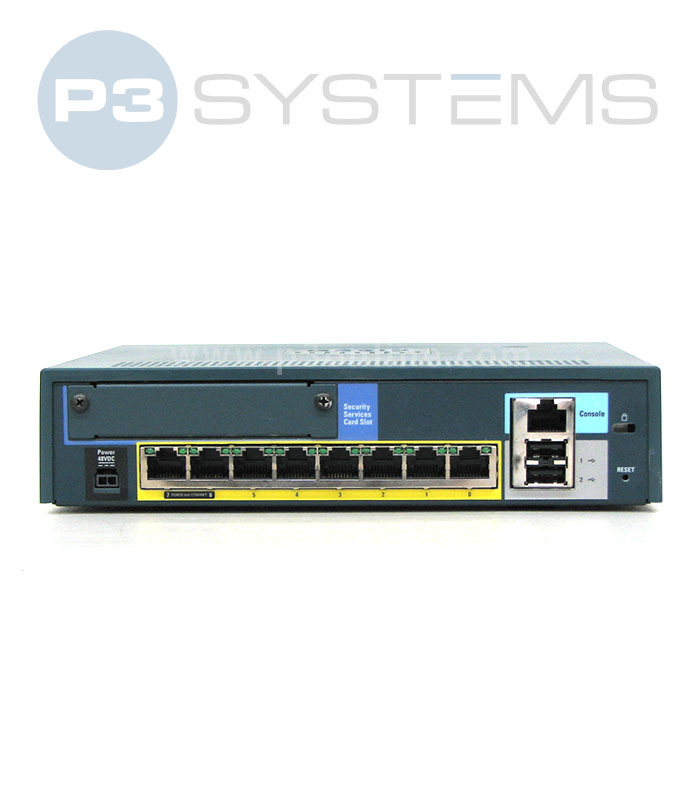 Cisco ASA5505-BUN-K9 - Buy and Sell Used Cisco Hardware | Best prices on new, used and Cisco Excess. The ASA 5505 Adaptive Security Appliance provides your network with the security capabilities of an enterprise grade security appliance, but at a price point and feature set more appropriate for small to mid sized networks, making it the perfect solution for small office and branch network security needs. Combining web inspection, VPN concentration, firewall, and intrusion prevention features on one easy-to-deploy platform, the ASA 5505 has established itself as one of the best security options available for mid sized networks. The ASA 5505-SEC-BUN-K9 comes equipped with 8 10/100 ports, two of which are power over Ethernet capable – allowing for the ASA’s Firewall, SSL and IPsec VPN services to extend to IP Phones, Access Points, or other PoE reliant networking devices. Other interfaces include a console port, 2 USB 2.0 ports, a 48v power input, and a locking slot for added physical security. This base model comes equipped with 10 users, 10 IPSec VPN peers, 3DES/AES licensing, and 2 premium vpn peers. These features can scale with additional licensing and hardware to include unlimited users, additional VPN Peers, DMZ features, active/standby high availability support, and Advanced Inspection and Prevention security hardware, allowing the ASA 5505 to grow along with your networks security requirements.